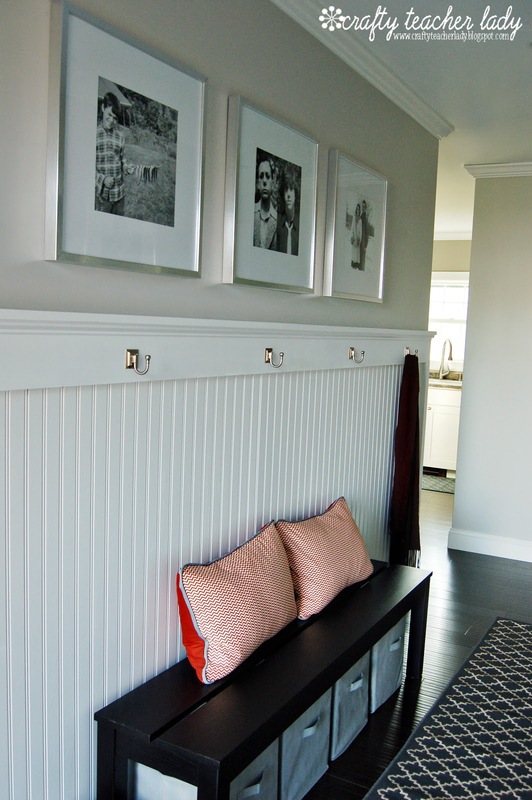 Project 'finish the entry hallway' is well under way what with the recent installation of beadboard. Next on the list was to make some pillows for the bench. 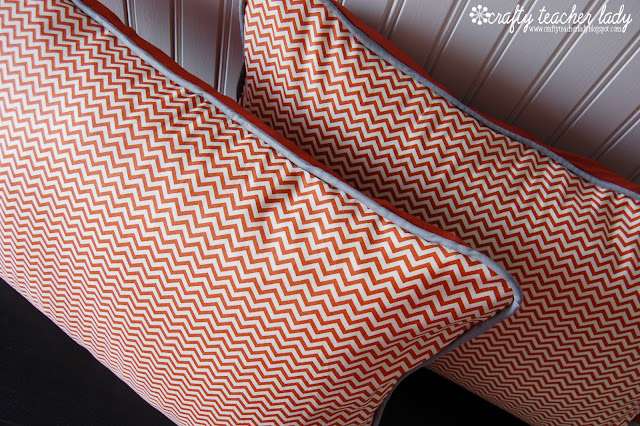 I've been loving the gray/burnt orange color combo and found a fun chevron print at JoAnn Fabrics this weekend. 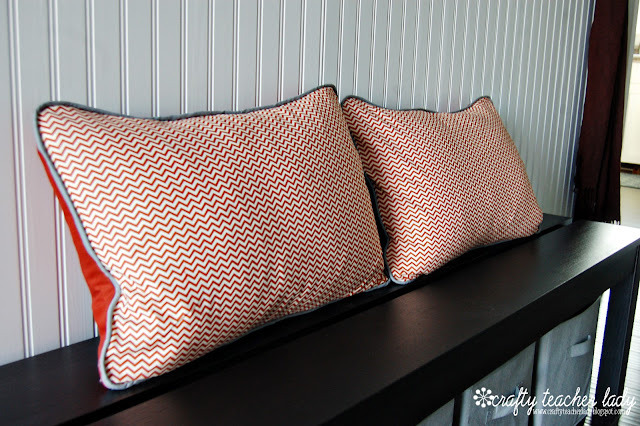 I used gray double-fold bias tape and cording to diy the piping around the pillows. I'd like to pretend that I whipped up these pillow covers without any issues but for some reason, things kept going wrong when it came to installing the zippers, even though I used the very same tutorials when making the living room pillows! After seam ripping, sewing, seam ripping, sewing I went to 'plan b' and used a back flap instead of a zipper. I guess the lesson learned is that even when things should go right, sometimes they just don't...so take a break and come back to the project the next day with a clear head and patience! The gray piping and beige in the chevron pattern really compliment the indoor/outdoor runner recently purchased from Overstock.com. The wall color and accessories are mostly gray so the orange really pops! Oh, and you can see a little preview of some pictures hanging on the walls that I'll write about in another post!